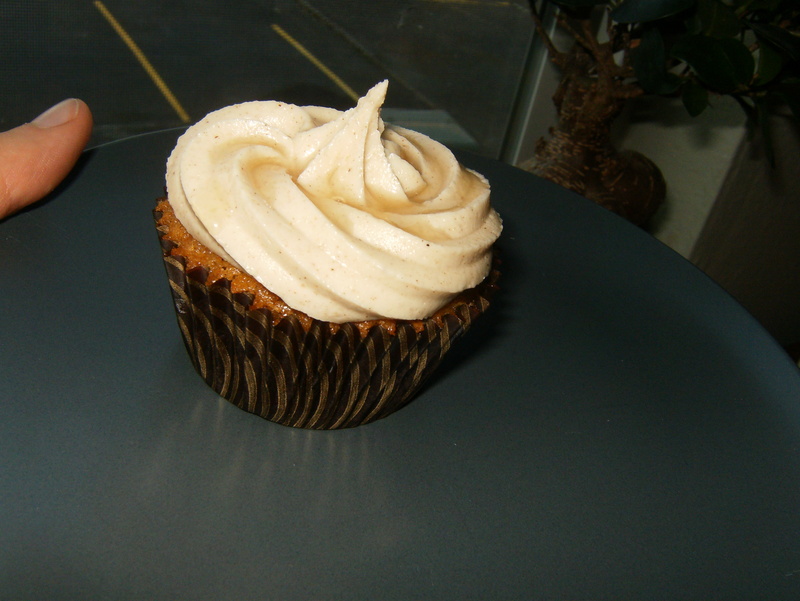 Browned Butter | Cupcake Villains Strike Again! The cupcake! Look at the fancy baking cup! My fair/damp/slightly mildewed city has reached the time of year before it’s cloudy for basically three months running, but the lack of cloud cover makes for really chilly nights. The days have this absurdly beautiful crisp fall weather with a few wisps of clouds floating overhead; a cool, bright light; and a gorgeous blue sky I can’t remember ever seeing when I lived in the Inland Empire. I’m sorry for making you read through an overly-descriptive paragraph that has nothing to do with the actual cupcakes, but only partially because it is beautiful in the Willamette Valley right now.